The Grey Forest is wooded not with living tree and leaf but the spirits of trees turned hard and stony. 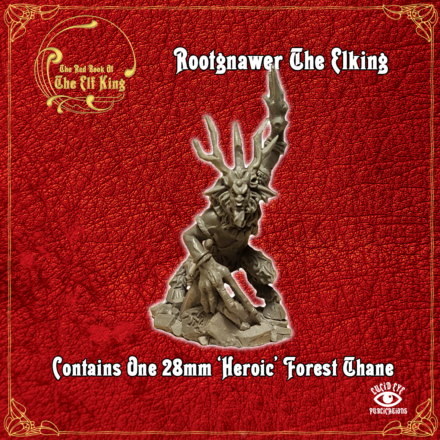 This is the realm of Maglint Rootgnawer the Horned King. Time stands still here. The stony trees are heavy with the ages of the world past, present and future. Those who wander into these woods know nothing of the passage of years. When they leave its boundaries the burden of age turns all to dust blown upon the winds of time. 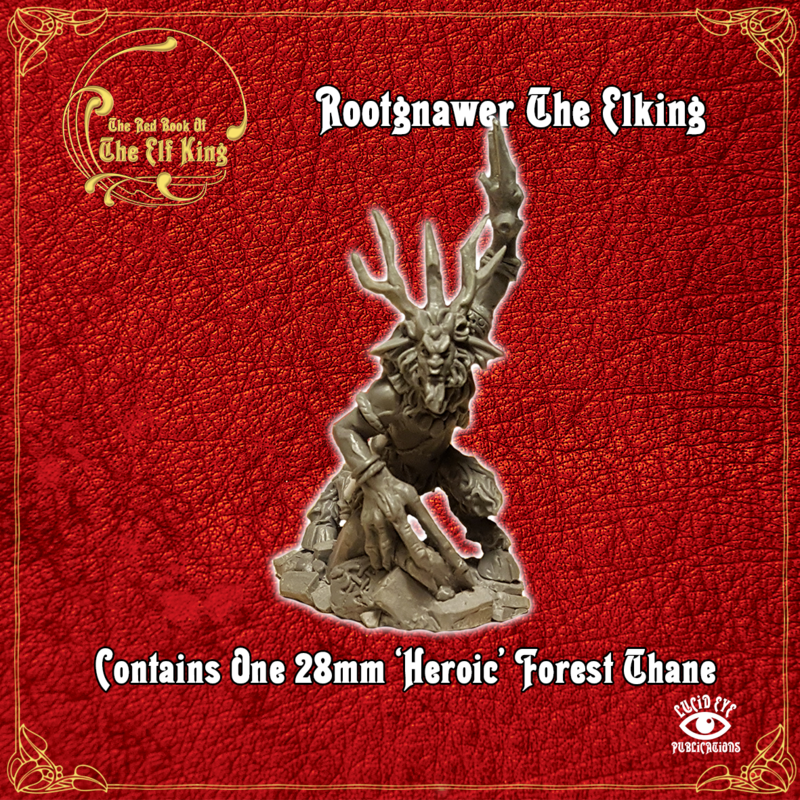 The Horned King will suffer no trespass within his realm. The spirit of the Forest of the Fae lives within him and within the Sylvan Fae that he commands. 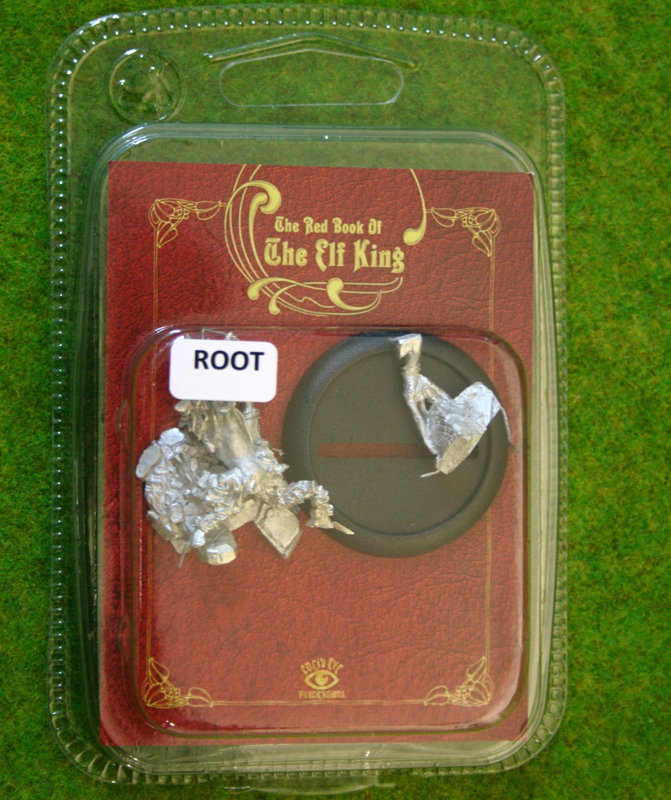 Contains one 28mm ‘Heroic’ white metal miniature. Provided with a 30mm display base. Sculpted by Steve Saleh .